It was her school that inspired second grader Ettie Laber’s creativity. 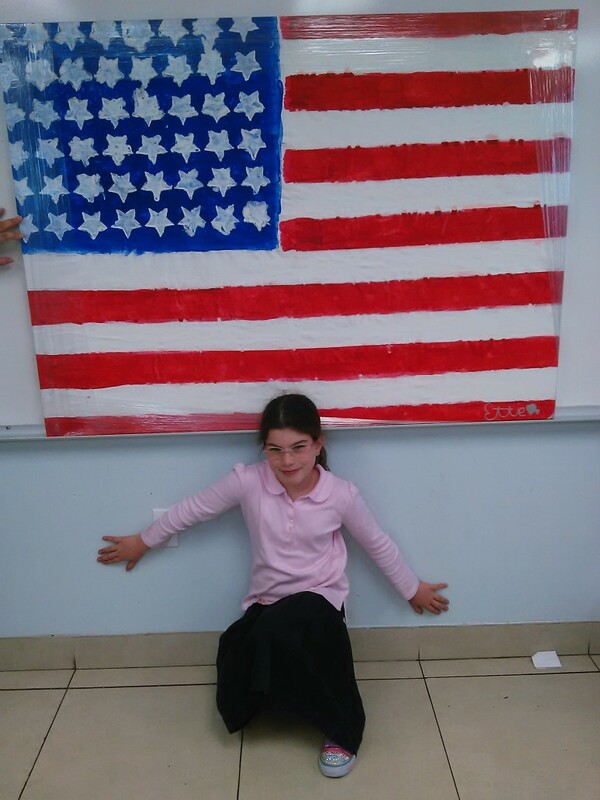 After reading the novel The Great Potato Plan—a tale of one Jewish family’s escape from war-torn Poland in the early 1940’s and their arrival to America, Ettie felt a wellspring of pride for her country of birth and for her school and desired to express her feelings in creating a duplicate of the “Stars and Stripes.” Collaborating closely with her father, the resulting piece of art was an awe-inspiring 5-foot-wide painting of the American flag. Ettie’s teacher, Mrs. Michla Roth, was only too proud to display the flag in their classroom. 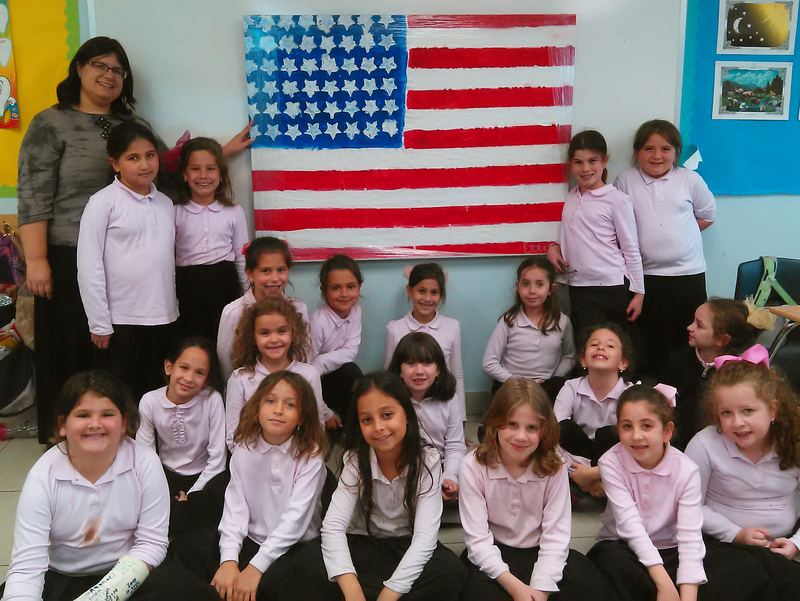 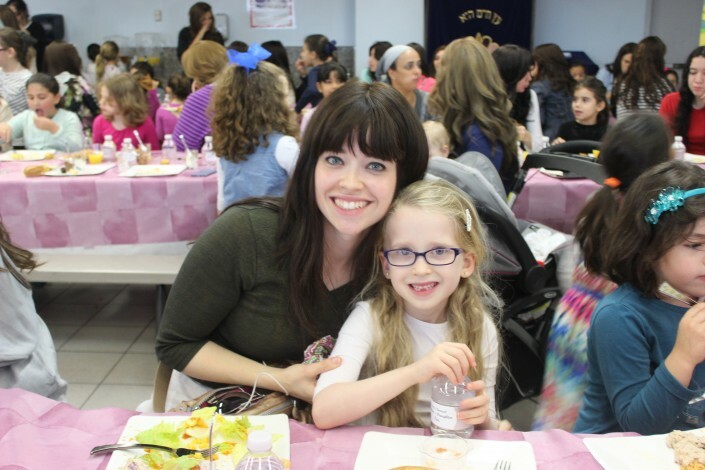 Like Ettie, her classmates share her pride in living in the United States of America, where Jewish children are able to go to Jewish schools like LEC and do Mitzvos openly and with pride. 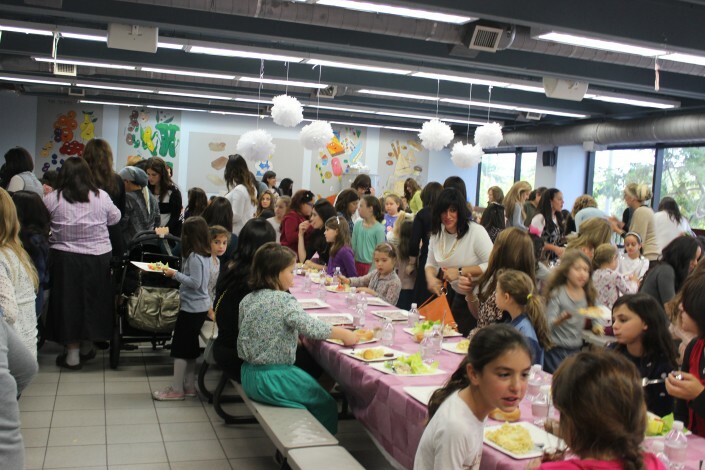 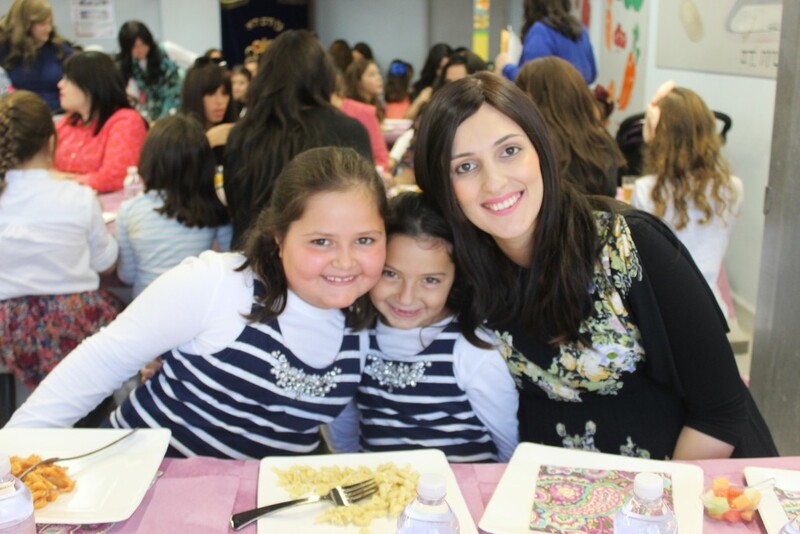 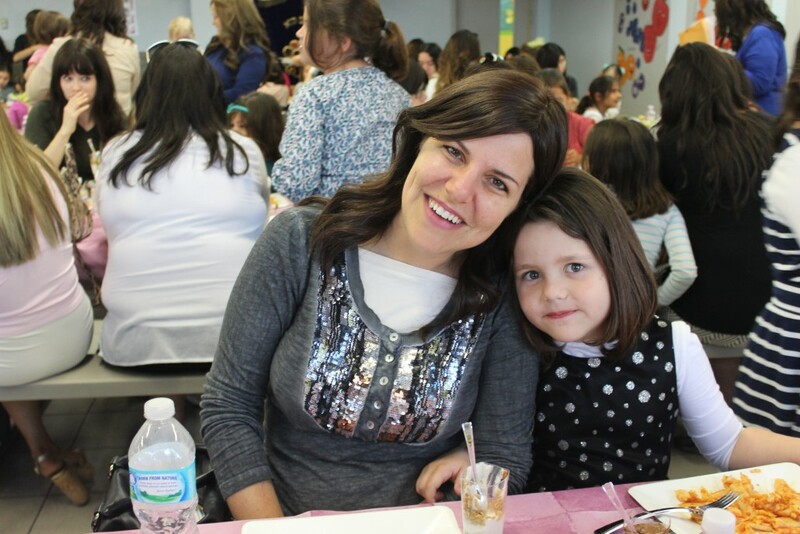 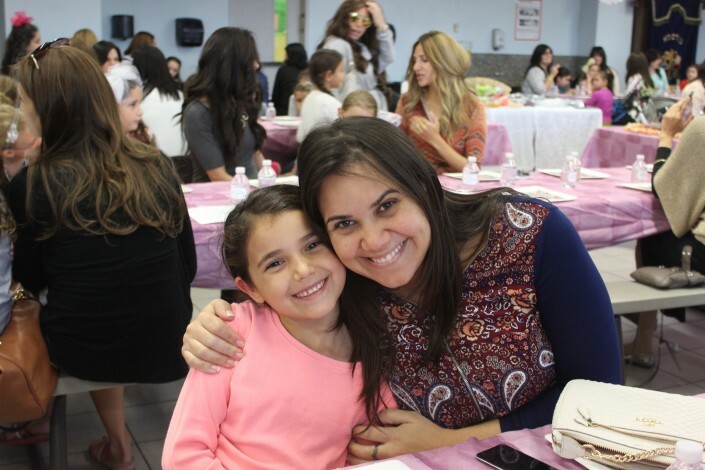 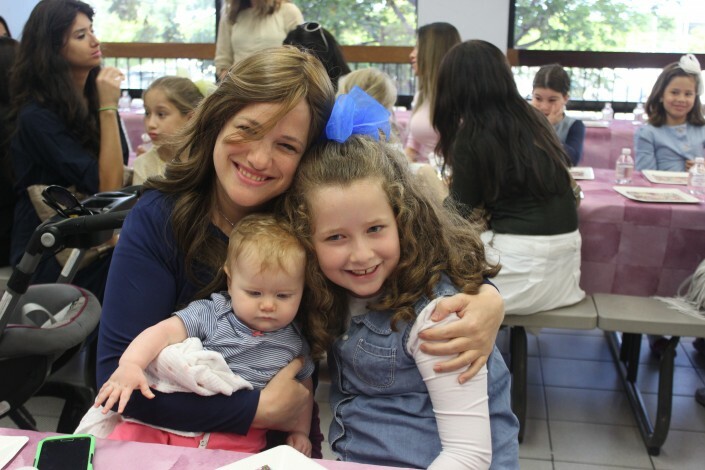 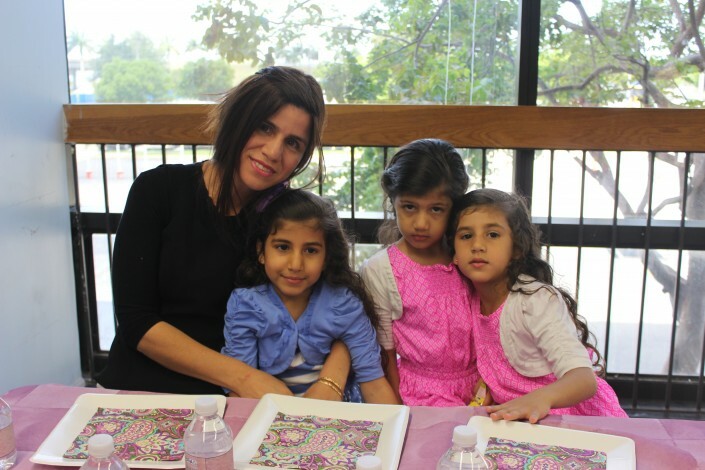 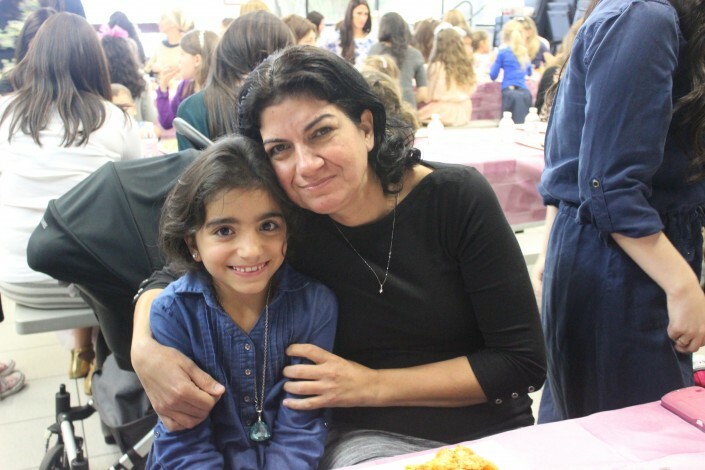 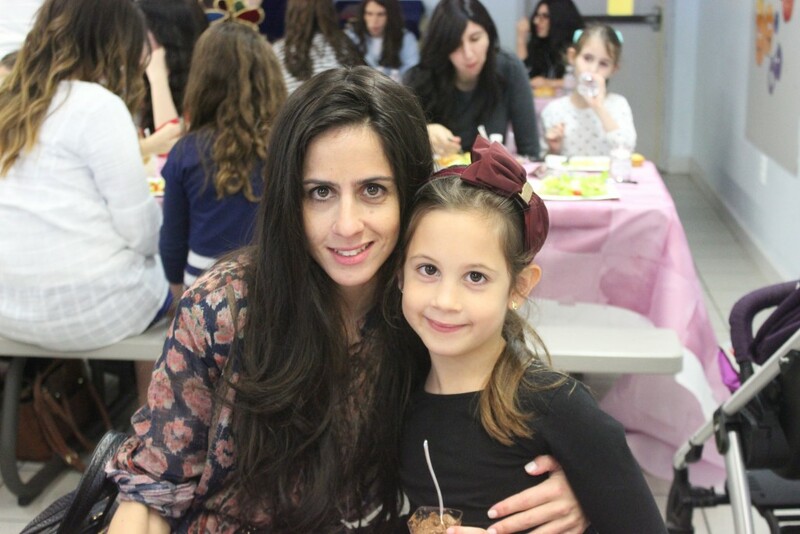 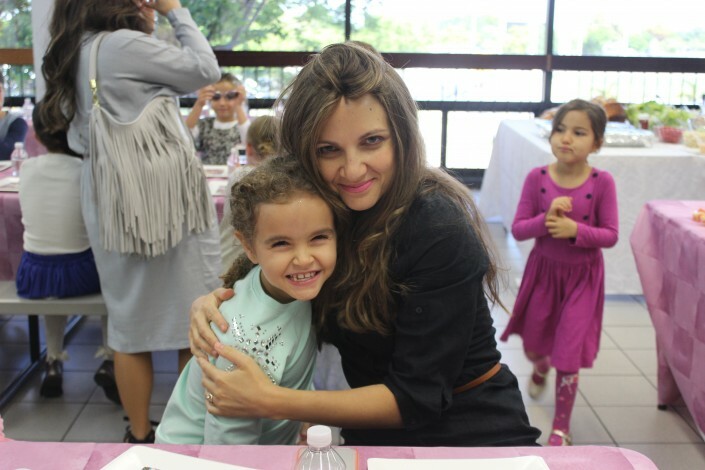 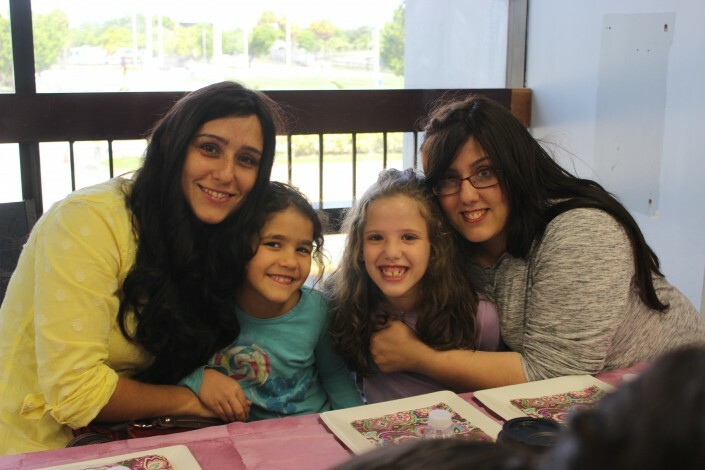 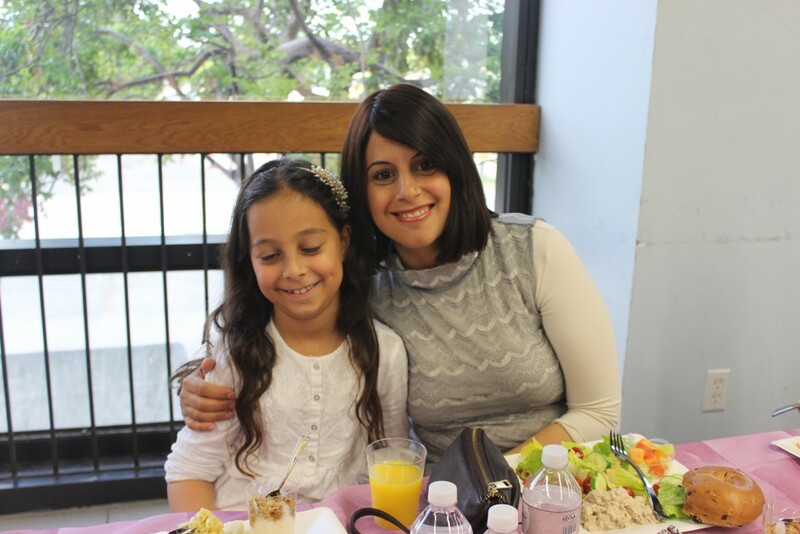 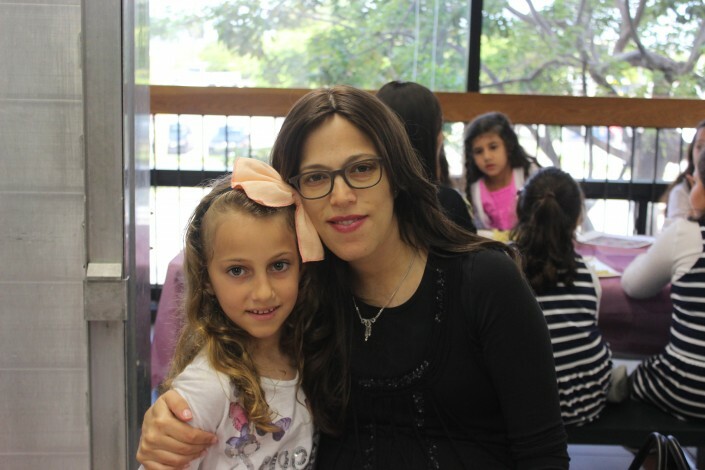 After a beautiful mother-daughter event for girls in grades 6 to 8, it was now time for the younger students in grades 1 to 5 and their mothers to come together for their annual tea. 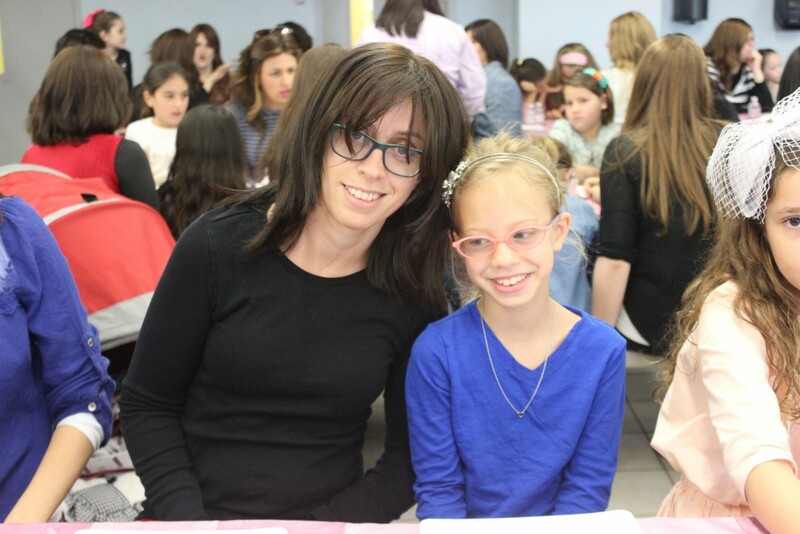 Once again organized by the Bnos leaders Chani Dalfin, Shainy Kagan and Devorah Leah Korf, the program offered an afternoon of creativity, spirituality and fun. 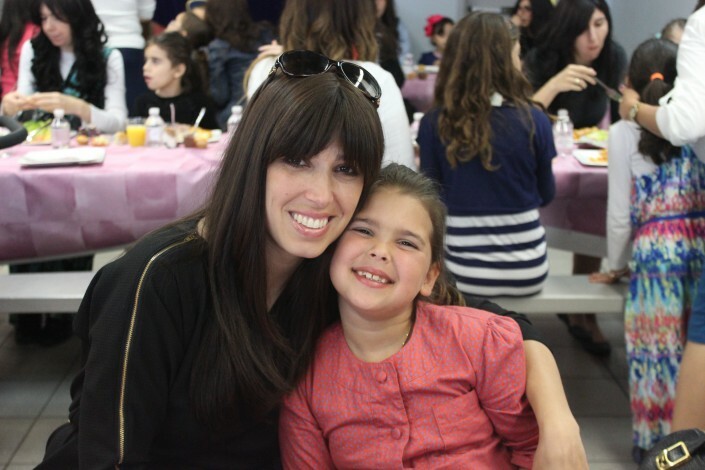 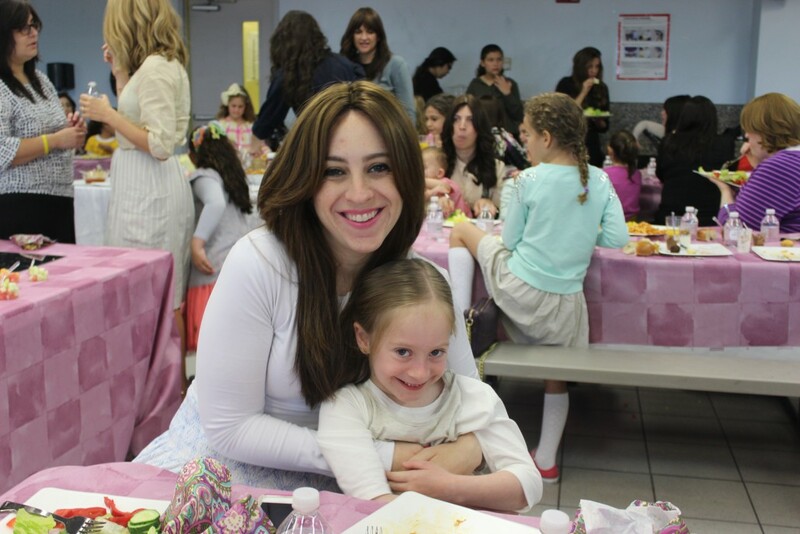 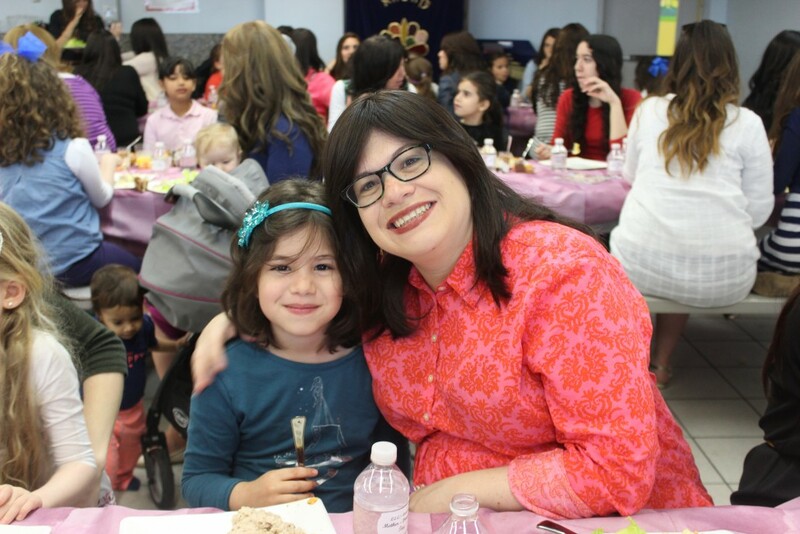 After partaking in the delicious refreshments, the event started with a dvar Torah on the parsha by LEC parent and shlucha, Mrs. Nina Naparstek, and greetings from 2nd grade student Chana Chanowitz. 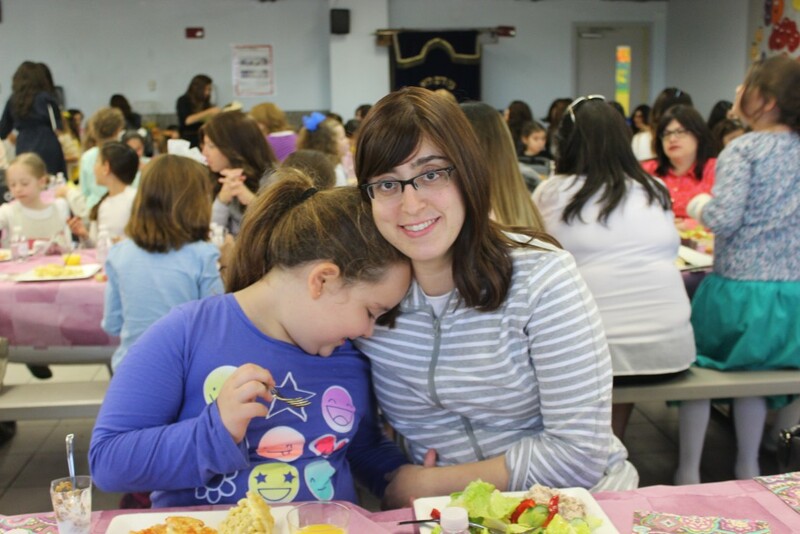 Mrs. Rivky Barash, also a parent and a shlucha, addressed the gathering, along with 5th grader Chaya Mann. 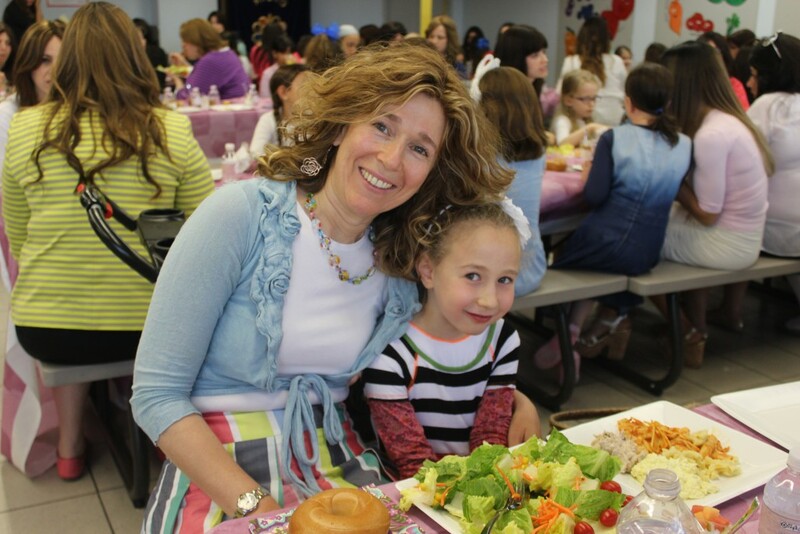 A video presentation of the many activities that took place this year reminded everyone of what an exciting year this has been. 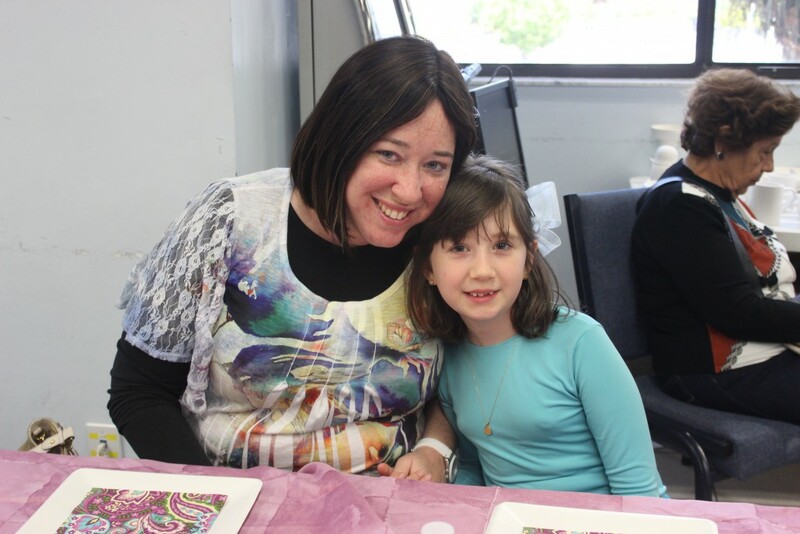 The creativity of the participants was brought out by a pottery painting activity. 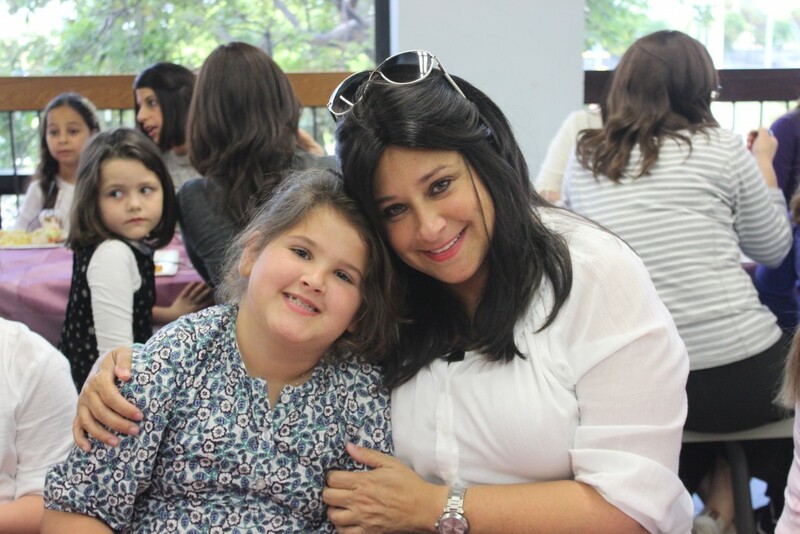 We are grateful to Mrs. Levana Hashem for providing the pottery and decorating supplies. 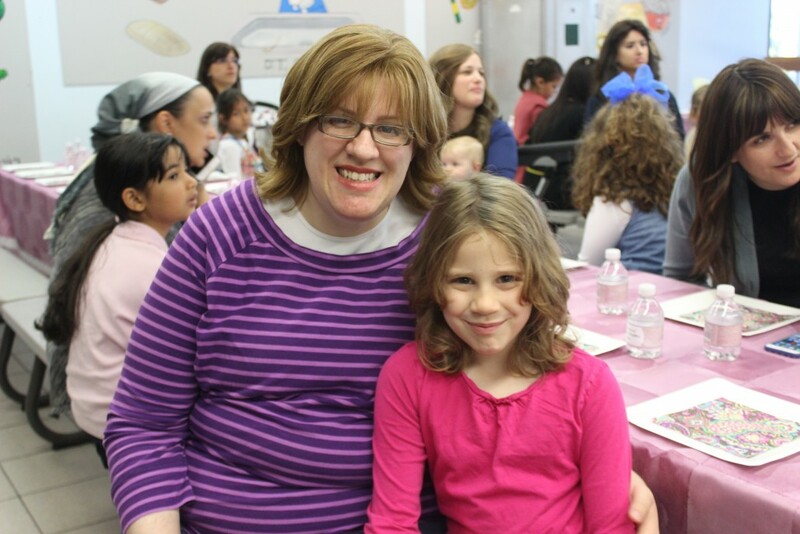 Much thanks also go to Shayna Bortunk for beautifully setting up the room and the refreshments. 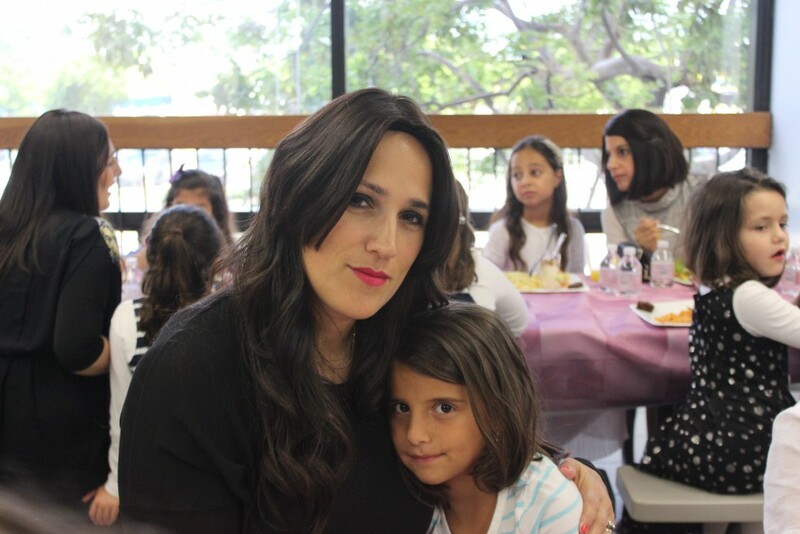 Shabbos candles, the following form is to be completed.